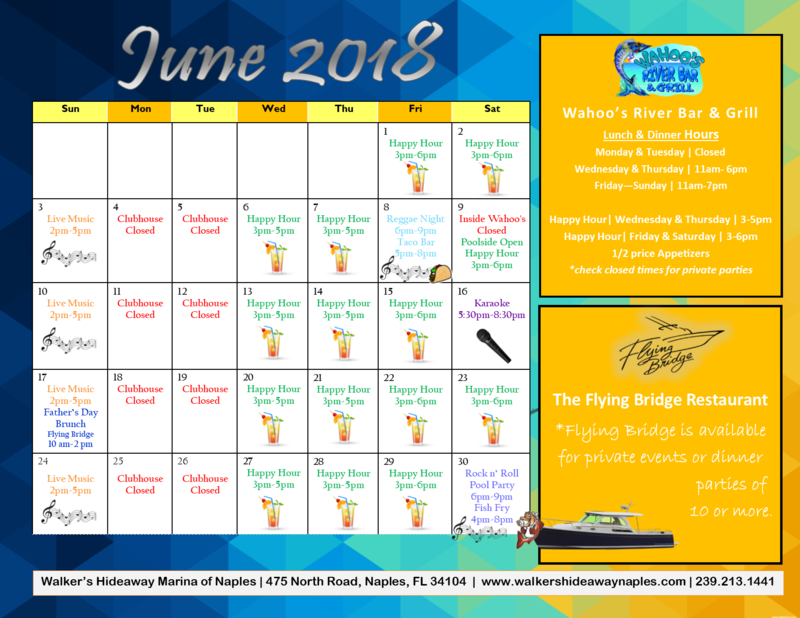 “Our house is your house” for dining specials, live entertainment, happy hours, wine tastings, family picnics, contests, fishing and boating events, and much more. Enjoy quality time with friends and family in a place where you belong. Wahoo's is uniquely suited to host your special event. Our knowledgeable, professional and highly creative staff is ready and to assist you through every step of designing a spectacular and unique occasion. Wahoo's River Bar and Grill is the perfect venue to host your next event. Whether you are celebrating a special occasion, conducting business meetings or simply entertaining friends and family, we will be sure to make it a memorable date for all!